Albert Einstein Albert Einstein was born in 1879, in Swiss. He discovered the theory of relativity. He died in 1955. 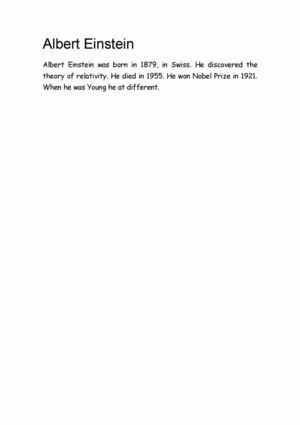 He won Nobel Prize in 1921. When he was Young he at different.